The most frustrating thing about the last time I hosted was the number of bloggers who refused, even after repeated cajoling, to actually post a link to the edition. I was determined to exclude their entries this time; while there's no rule which requires folks to link, I believe that it's a moral imperative to do so when your post is featured. Alas and alack, nary a one of the offenders submitted a post this time ((perhaps out of shame?). And that's great, because we have some new faces in this edition, blogs and bloggers with which I was previously not familiar (and I bet a bunch of y'all weren't, either!). I've elected a rather pedestrian format for this outing: first in, first up. ■ Anticlue Blogress Elyse Nielsen takes a look at the graying of an interesting, and oft-ignored, demographic: nurses. Elyse points out that "(n)urses are known for making workarounds work to get the job completed in the best interests of patient safety." But, having "too many changes for nurses to digest at a single time is a chief cause of burnout." ■ On the "swine" flu front, David Harlow sneaks in with an early post about Microsoft's new partnership with Emory University. The Redmond Giant has "launched a simple-on-its face online tool in that leads visitors through a simple Q&A to let them know if they should go see a doctor for H1N1 or stay home and rest." But wait, there's more! "Behind the façade are a host of goodies and architecture for more to come, including a new sort of real-time epidemiological study tool." I hope David forgives me for this, but do you know what to do if you're diagnosed with either the "bird" or "swine" flu strains? Well, "bird" flu requires tweetment, while "swine" flu responds to a simple oinkment (I'm here all week, try the veal). ■ Is there a moral component to our increased longevity? 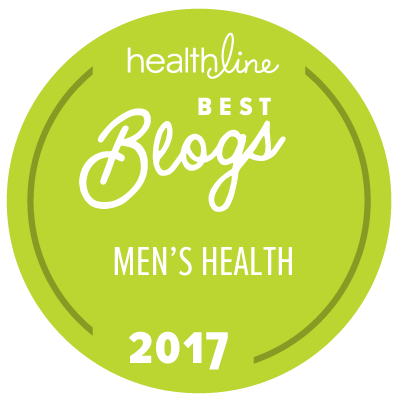 Brian at the How to Live a Longer Life blog thinks so. He notes that, while "medicine is able to keep people alive much longer than in decades past, the lifestyles of our oldest people has always been based on a mortality schedule that was much shorter." Quite the conundrum. But what's so wrong with that? Well, Brian believes that "bodies break down as directed but new medicine keeps them alive anyway resulting in sometimes huge personal and societal costs." ■ Healthcare Hack Amer Kaissi wonders what lessons we can take from Massachusetts "universal coverage" plan, and finds it wanting on several levels. Amer asks if perhaps there's something to be learned from this. I, for one, believe there is. ■ UberWonker Dr Roy Poses has a scathing review of the politics of running a hospital. What, exactly, renders someone as qualified to serve on a hospital's board? Is it relevant experience, prestige or simply wanting to mix "with one's own kind?" Dr Roy ponders the impact of these choices on the future of health care reform efforts. ■ Jaan Sidorov is one of my very favorite health policy bloggers. His posts are clear and concise, and raise interesting, thoughtful questions. And this one's no different: Looking at the Baucus Bill one is almost required to conclude that if it passes, Fee For Service Medicare will be "'transmogrified,’ Calvin n Hobbs style, into managed care." Perhaps that explains all those Angry Seniors this past August. ■ Meanwhile, Richard Elmore reports on the Congressional Budget Office’s (CBO) scoring of the costs and revenues attached to the Baucus Bill. He wonders out loud "where does that $829 billion go?" Thankfully, he has the numbers to back up his conclusions. ■ Jason Shafrin is another of my favorite Wonks. While so many folks focus on the medical side of, well, medicine, Jason casts his critical, economist's eyes on the numbers that drive it. In this post, he has the story of how, in 1996, Pennsylvania repealed "certificate of need laws" for coronary artery bypass graft (CABG) surgeries, and he evaluates whether or not this helped improve efficiency. ■ Over at EHR Bloggers, Dr Glen Laffel [ed: is it just me, or do we have a run of doc's here today?] reviews a study of the Veteran Administration's vaunted Electronic Health Records program, called VistA. That study seems to show that "physicians prompted by quality-related alerts regarding their patients didn't always respond to the alerts." The result? "(T)his lack of follow-up frequently was associated with quality of care problems." ■ Health Business Blogger David Williams tends to look at health care as a, well, business, and he wonders if either the California or Massachusetts plans offer us any "clues to the fate of Federal health reform." You'll have to read the post to find out (and I promise you won't be disappointed). ■ Adam Fein takes a look at Wal-Mart’s claim that many health-care services should be priced as low-cost commodities and explains what it means for pharmacies and PBMs. ■ Workers Comp Insider's Jon Coppelman deviates from that worthy blog's usual mission to comment on a peculiar kind of underwriting denial by health insurance plans in seven states. In his post The Battered Need Not Apply, Jon makes it quite clear that he's not impressed. 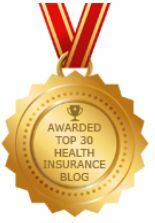 ■ At the Health Access Blog, Anthony Wright wonders if AHIP (the Association of Health Insurance Plans) was ever really "on board" for reform. ■ Joanne Kenen, blogging at New America, has a message for folks who are disappointed in the current crop of reform legislation: "go back a year to what we thought the best case scenario was at the time, and realize how far we've come." ■ Ken Terry parses Rahm Emanuel's stint on a recent PBS news show, and takes issue with the Mr E's notion that any of the bills now under consideration guarantees health care to anyone. ■ Health Affairs blogger Chris Fleming has some thoughts on whether or not Congress can still turn around the slumping poll numbers for reform. ■ Louise Norris, co-blogger at Colorado Health Insurance Insider, is concerned about Cover Colorado (a state effort to extend health insurance coverage to the uninsured). As Louise explains, part of the problem is that they'd like to "attract healthier applicants and perhaps improve their loss ratio." The challenge is how to do that. 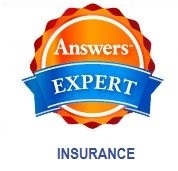 ■ Our own contribution has some startling information about health insurance claim denials, and which insurer has the worst record (the answer may surprise you). Well, that's it for this week's edition; please remember to tune in on the 29th when Tinker Ready at Boston Health News hosts. And consider hosting an HWR yourself: Julie and Joe make it easy, painless and fun. Just click here to volunteer. I guarantee you'll have fun (or double your money back! ).